Darfon will be introducing 5 new products this year: H5000, H100, H200, G640 and ComBox. The H5000, our latest hybrid inverter, converts DC power from the PV modules or batteries into AC. Based upon programmed priorities easily set up by the installer, batteries are charged from either the PV array or grid. Your company will be exhibiting at Intersolar, what is it that makes this an important event for your company? Intersolar is an important event for us because it provides high visibility for our products. It being in California is a plus, since California has the highest volume market in the US. This year, we will be showcasing our full line-up of microinverter related products; however, our main attraction will be our hybrid energy storage solutions. Darfon will be introducing 5 new products this year: H5000, H100, H200, G640 and ComBox. The H5000, our latest hybrid inverter, converts DC power from the PV modules or batteries into AC. Based upon programmed priorities easily set up by the installer, batteries are charged from either the PV array or grid. The H100 and H200 are integrated hybrid energy storage solutions with one using lead-acid batteries and the other LiFePO. The G640, our latest microinverter, has two panel inputs with dedicated MPPTs. Lastly, the ComBox is our integrated communication box that simplifies installation and saves time. It’s always a treat to walk the exhibit hall floor. I get to see all the new products other manufacturers are releasing and where they think the market is headed. Me personally, I will be keeping an eye out on energy storage solutions, PV inverters and PV modules. What do you think your product offerings bring to the market? Darfon has been coming out with products with unique advantages to installation time and cost. 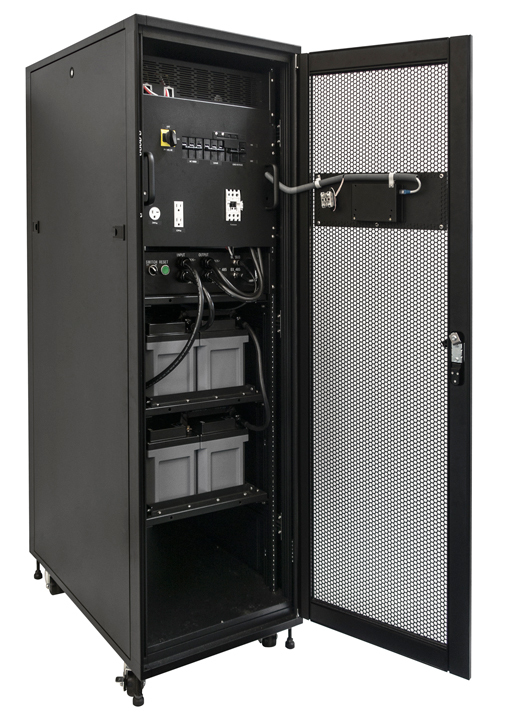 First with ACRak, and now with the H100 and H200, its hybrid energy storage solutions. With Darfon’s hybrid energy storage solution you just roll it in, install the batteries, connect the wires and then drive away. It is that easy and fast. Our expectations and goals for the event are actually really simple. We expect visitors attending the sessions to be educated in the latest technology and market direction. Our goal is to reach installers and decision makers to convey the advantages of Darfon products, but we also want to converse with installers and system designers to gage the needs and desires for the market. Bryan brings more than 20 years in the electronic and solar industries. He ran his own solar installation company before joining Darfon three years ago. As a product manager at Darfon, Bryan helped define and bring to market Darfon solar products, including the G320 microinverter and ACRak installation solution, as well as solar energy storage and other green energy products.